Apple posted net income of $9.5B for second quarter this year, and has reportedly earned a total of over $43B in revenue for the said quarter. This report comes possibly to prevent the AAPL stock from falling way below the $400-level. According to the report, some 19.5M iPads, 37.4M iPhones have been sold and we're not even half-way through the year yet. Net income has dropped roughly $2.1B from the same quarter last year but the Company claims that they have actually sold more devices as compared to the same quarter last year. This report contradicts reports that the Company is already in trouble after Google, Samsung and even Microsoft have made strides in developing devices to compete with the iPhone and iPad. Moreover, a big chunk of Apple revenue comes from the sale of applications, posting continuous growth at notable rate. Also, the Company reportedly is quite liquid as it has around $145B in cash, up from $121B same quarter last year. Clearly, the company is still on the roll. We've read the rumors, we've seen the banners, and now it's finally here. Live from the Moscone Center in San Francisco, Tim Cook has just taken the wraps off of the latest upgrade to Apple's mobile operating system (after pumping up the crowd with some shimmering stats for the current OS, naturally), and as expected, the company's maintained its familiar naming scheme, introducing the world to iOS 7. Tim Cook called it the biggest change to the operating system since the introduction of the iPhone, bold words supported by new features and a new design that managed to get a visible gasp from the room full of developers when shown off in a promo video. The new designs start on the lock screen, featuring a much thinner lettering. The icons have been redesigned and are flatter as expected. The company's also updated the typography and added new animation and transparency for images. The design goes edge to edge on the display, taking more advance of real estate. The Desktop moves as you do, creating "a new experience of depth." The company only focused on design during the intro video, but that was certainly enough to get the crowd excited. 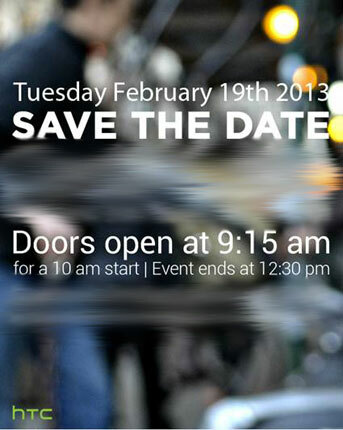 HTC will be holding a press conference on February 19, a week before the Mobile World Congress 2013. The press conference event will take place in New York and will start at 10:00AM EST. Currently there are rumors going around that the Taiwanese company will announce its HTC M7 device. The smartphone will boast the smallest 1080p screen on the market, and the 4.7" display mind-blowing pixel a pixel density of 468 ppi. We saw the leaked images of the HTC M7, but yet to be officially confirmed at this point. It's highly likely the M7 to run HTC's latest Sense UI 5.0 on top of Android 4.2 Jelly Bean. HTC is finally sticking to just one flagship carrier as opposed to announcing and releasing a barrage of One-devices, which can only confuse buyers. The Taiwanese firm lost steam against bigger players such as Samsung and Apple and its recent plan to concentrate on the HTC One for the entire year is a move welcomed by many. HTC will definitely make some much-needed changes if it plans to recapture the market with its sleek-looking and well-designed smartphones. While some fans of other high-end HTC devices were a bit disappointed, this move will enable the company to put emphasis on a core smart phone that can be offered on different carriers. Unless, of course, it breaks its promise, much like what happened with the HTC One X last year. 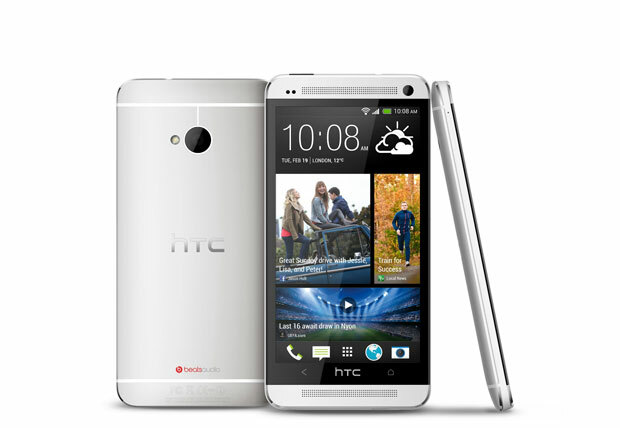 Some hopefuls are still waiting for HTC to release a phone that uses the Snapdragon 800 processor or maybe a 5-incher. As for now, no one knows if HTC officials will really stick to their plan this time. This might just be a way to keep our eyes off a hidden project, don't you think? Samsung, who owns half the smartphone market on the planet, claims 2013 will be the year when it separates itself from bitter rival Apple. The Korean technology giant is the world's largest maker of mobile phones and aims to ship a record 510 million handsets in 2013. That would be around a 20% increase from the estimated 420 million devices this year, according to Korean Times, it shipped around 288 million handsets through the first nine months of the year and is expecting a global Christmas bump. Aside of its Galaxy smartphones and tablets, which have emerged as the main competitors to Apple's iPhones and iPads, Samsung is planning to release a lineup of devices powered by Microsoft's Windows 8 mobile operating system. It will also push products that support TIZEN software, which Samsung jointly developed with semiconductor rival Intel. The plan contrasts a previous outlook by leading market researcher Gartner, that predicted the Korean firm to sell between 250 million and 300 million smartphones next year. In 2011, Samsung sold 97.4 million smartphones, up from 23.9 million and 0.6 million in 2010 and 2009, respectively. Analysis from HIS iSuppli, another research firm, noted that Samsung is set to seize the global mobile handset market's top ranking this year, ending the 14-year reign of Nokia. The report projects Samsung will account for 29 percent of worldwide mobile shipments, up from 24 percent in 2011, while Nokia's share will drop to 24 percent, down from 30 percent last year. We want to congratulate Samsung for its continued success in the mobile devices market. Samsung Display will showoff two flexible displays at CES 2013 in Las Vegas next month. The first display panel will cater to smartphones that will have a display size of 5.5-inches and 1280×720 HD resolution whereas the second one will be a 55-inch for televisions. Samsung has been developing curving screens for some time, showing off smaller display demos, like the 4.5-inch WVGA screen with about a 200 pixel density that CNET saw at CES 2011. With this demo's increased resolution and screen size, Samsung is clearly keeping pace with today's smartphone expectations. Nonetheless, we're looking forward to getting a first look at them in the coming CES 2013. Samsung will likely increase its lead over Apple in smartphone sales in 2013. According to Reuters, who said the Korean company will achieve 35% year-on year growth in smartphones, 2 percent more than Apple's smartphone sales. The analyst is projecting global smartphone market growth will slow in 2013 from its very rapid rate of expansion last year, with shipments projected to rise 27% to 875 million this year, projected to be slowing from last year's 41% growth. Strategy Analytics said this is due to growth easing in many "key" markets such as North America, China, the developed economies of Asia, and Western Europe. Wait, did Samsung just leaked on exactly when they will be releasing the Galaxy S4? Looks like the official "Samsung Lebanon" Facebook page just did. "hey, is there any news for the Samsung Galaxy S4 release ?" Response was "Galaxy S IV will not be released before May 2013". We will have to take this without 100% accuracy as mostly the information provided on Samsung's Facebook pages isn't always 100% correct, but something to keep in mind when making smartphone purchasing decisions. What we said is only trivial since all Galaxy S series are released between late April and Early May, yet there's no way for anyone to know the exact release date. Samsung's roadmap was revealed by Technobuffalo this morning, here we can see what Samsung has in store for us for the next couple of months. Starting off with the Galaxy Note 8.0. As previously rumored, the Galaxy Note 8.0 comes with Android Jelly Bean, a 1280 x 800 display, S Pen, quad-core 1.6GHz processor, 2GB of RAM, 16GB of internal memory, MicroSD card support, 5MP rear camera, and a 1.3MP front-facing camera. The Galaxy Xcover 2 will run Android Jelly Bean (version 4.1 or 4.2) and, like its predecessor, it's going to be dustproof and waterproof. Other features: 4 inch WVGA display, HSPA+, Wi-Fi 802.11 a/b/g/n, GPS, Bluetooth 4.0, 5MP rear camera, VGA front-facing camera, 4GB of internal memory, MicroSD card support, and a 1,700 mAh battery. The handset seemingly measures 130.5 × 67.7 × 11.9 mm, and weighs 148 grams. The Samsung Galaxy Plus will have a 2.8-inch 240×320 touchscreen, a 2 MP camera, an 850 MHz Broadcom processor, 512 MB of RAM, 4 GB of built-in storage space, quad-band GSM, HSPA, Wi-Fi, Bluetooth, GPS, and a 1,200 mAh battery. It will run Android 4.0 Ice Cream Sandwich. Not so good news this morning. Samsung will not be holding its usual press conference at the start of Mobile World Congress 2013 in Barcelona. After talking to people "familiar with the matter", Pocket-lint can confirm that Samsung won't be holding its usual Unpacked event at the world's largest mobile phone trade show at the end of February, which means Samsung Galaxy S4 launch unlikely. At last year's Mobile World Congress, Samsung announced the Galaxy Tab 2 10.1, Galaxy Tab 2 7.0, Galaxy Note 10.1 slates, and Galaxy Beam. Now, the company is expected to officially uncover the Galaxy Note 8.0, but we are not sure why press conferences won't be happening for this device. Samsung declined to comment when we asked for clarification on its Mobile World Congress 2013 press conference plans. The Big Pitch is here! Samsung Super Bowl 2013 ad for the Big Game, Lebron James, Seth Rogen and Paul Rudd make their pitch to represent The Next Big Thing. According to Asymco's Horace Dediu, Samsung spends nearly $12 billion a year on advertising, commissions and sales promotions, that's more than Apple, HP, Dell, Microsoft and Coca Cola combined. Apple, whose 1984 Big Brother is a classic of the genre, hasn't run a Super Bowl ad in years. What do you think about the Full Version Ad below? Samsung might just introduce new flagship devices on the yearly Berlin electronics event, the IFA. It also looks like that would be the event where the Galaxy Tab 3 and Note 3 will both be unfolded, since no news on the exact date of their announcement exists yet. Furthermore, Samsung loves to introduce new products or technology on international trade events as part of their marketing campaign. The next IFA will be held on first to second week of September and it looks to match the period or date that we heard from an insider that they will introduce these devices only on the second half of 2013. These devices are also expected to draw in crowds as many as those who attended the S 4 unveiling last March 14th. The Tab 3 might also have two variants, like what has been going on for a while now on the rumor mill. On the other hand as opposed to earlier reported rumors that the Note 3 will go over 6 inches, it will only measure 5.9 inches, based on the prototype that will be revealed to AT&T execs later this week. Samsung will surely follow up on its high-end tablets and according to the rumor mill; the next to be featured will be the Galaxy Tab 3 Plus. It can be recalled that Samsung did a "Plus" device two years back with the Galaxy Tab 7.7 Super AMOLED Plus. This device made waves and customers say that it is one of the best tablets in the market. According to the buzz, Samsung wants to take their tablets to a whole new level and compete head on with Apple's iPad and Sony's XPERIA tablet Z. With the success that they've had with their AMOLED displays, Samsung might just create a bigger tablet fit to rival its major competitors' 10-in and 11-in devices. The Korean company allegedly developed prototypes of various sizes. Furthermore, our insider thinks that Samsung will likely use their Exynos processors, if ever they do launch a bigger, high-end tablet this year. Samsung Electronics is wants to reach 500 million in handset shipments sometime in 2013, according to industry supply chain sources. Last year Samsung sold 420 million devices. Since a couple of years Samsung stopped with giving exact figures for its quarterly shipments. The information regarding sales numbers for this year came from the Taiwanese website DigiTimes. Samsung expects to sell the Galaxy S4 for 50 million times, so only the Galaxy S4 will bring Samsung shipment to 10% of the goal 500 million devices. 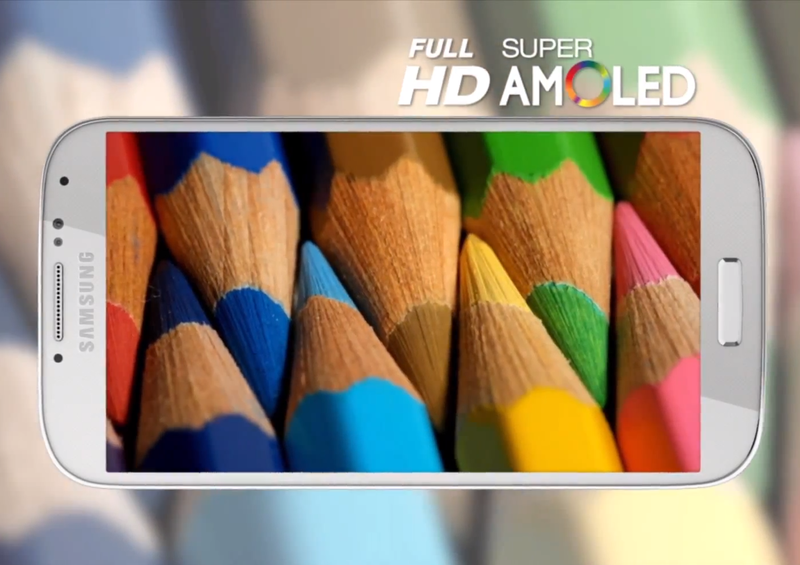 Samsung uses their own AMOLED panels for there high-end models. Low and mid range devices uses LCD from sharp or from Samsung Display self. Samsung also has panel supply for use in entry-level and midrange handsets from Tianma MIcro-electronics, Chunghwa Picture Tubes (CPT), AU Optronics (AUO), as well as high-end panel technology from Sharp and Japan Display in addition to supply from Samsung Display, added the sources. Samsung has announced its earnings estimate for Q1 2013, and the numbers are looking amazing, mostly due to good samsung smartphone sales. The company estimates 52 trillion won ($46 billion) in sales and an operating profit of 8.7 trillion won ($7.7 billion) for the quarter, besting Q1 2012 by 53% and increase of 15 percent from a year ago. Counterpoint Technology Market Research said last month that it expected Samsung's smartphone sales to top 70 million during the first three months of this year, further expanding its share in the global smartphone market. The market research firm estimated Apple's iPhone sales to reach 35 million during the same period. Samsung's financials have been improving quarter after quarter, and with its new flagship smartphone - Samsung Galaxy S4 - coming in April, things are definitely looking good for the Korean giant. Samsung released it's first quarter earnings press release this morning, it made an operating profit of $7.9 billion in the Q1 of 2013, matching its guidance and representing a more than 50% improvement on its performance last year. Revenues were $47.6 billion, and net profit was $6.45 billion. Samsung stated that strong smartphone sales combined with a reduction in its marketing costs was one of the leading causes of its quarterly success. But I suppose such a decent turnover isn't surprising considering that the company sold 3 out of every 10 smartphones last quarter, and still holds an impressive 30% share of the smartphone market. This month's much-anticipated launch of the Samung Galaxy S4 will make a large impact on Samsung's next quarter, too, though the company warns of increased competition and lower global demand for smartphones. Samsung announced just a few days ago it has shipped 10 million Galaxy S4 units globally. It is an impressive milestone achieved in less than a month. "Galaxy S-4 demand in the first month of availability has been incrementally better than our estimate of 10M units," Sue wrote in a note to clients on Thursday. "In comparison, the S-III took nearly 2 months (50 days) to achieve the 10M units mark. Our broad-based channel checks at U.S. stores indicate that demand for the 16G S-4 devices remains strong with 32G Black devices mostly sold-out and 32G White devices yet to make it to the stores." He continued, "At this pace, the GS-4 is likely to cross 20M shipments in 2Q13, potentially reaching 80M S-4 unit shipments in CY13. We expect the new version of Samsung's Note (III) to hit retail shelves in September. We expect Apple to have an updated multi-device smartphone portolio [sic] with the iPhone 5S, iPhone 5 and iPhone mini this year. The Samsung Galaxy S4 momentum is far from over and Samsung is doing everything to maximize its potential. It has already announced the Galaxy S4 mini, but we expect the Galaxy S4 Active and Galaxy S4 Zoom smartphones to join the lineup very soon. South Korean media site have reported that samsung is preparing to adopt a metal housing to its next smartphone to be released in early next year Samsung. 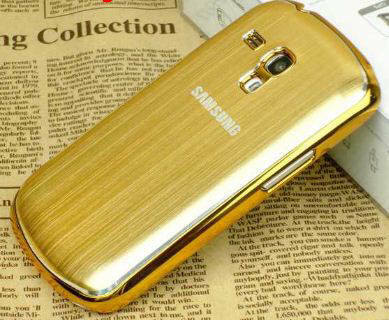 Could it be the Samsung Galaxy S5? The report also claims that Samsung is looking to start a production line later this year to create those metal chassis, with a sample produced in Europe sent for testing to Vietnam earlier this year. Samsung is reportedly treading lightly and is looking to minimize effects of a metal housing, such as on the antenna reception (Apple's "death grip" on iPhone, remember that?). Hopefully, things like removable batteries and expandable storage are being focused on, too. Still alot of time before the Galaxy Galaxy S5 makes its way to market, so it's best to take these rumors as grain of salt, but nothing stop us from hoping, right? Even thought it's still 2013, Samsung feels it's time to look back and show us what they have achieved in this rather eventful year for its mobile technology. Launching the Samsung Galaxy S4, Galaxy Note 3, and the Galaxy Gear Watch, achieving millions of sales for its devices, and more; it's all part of what Samsung feels were milestones for the company, and it's all laid out in a nice and pretty infographic for you to look at and marvel at. Above showing the infographic full of facts of Samsung Mobile. Let us know what you think? Worldwide mobile phones sales to customers totaled 455 million within the third quarter of 2013, a rise of 5.7 percent in the same period this past year, according to Gartner. Sales of smartphones paid for for 55 percent of overall cell phone sales within the third quarter of 2013, and reached at their highest share up to now. Samsung extended its lead in the overall mobile phone market, as its market share totaled 25.7 percent in the third quarter of 2013 "While Samsung has started to address its user experience, better design is another area where Samsung needs to focus," said Mr. Gupta. "Samsung's recent joint venture with carbon fiber company SGL Group could bring improvements in this area in future products." While Samsung's share was flat in the third quarter of 2013, Samsung increased its lead over Apple in the global smartphone market. The launch of the Samsung Note 3 helped reaffirm Samsung as the clear leader in the large display smartphone market, which it pioneered. Hit the source link for all the details on Gartner's market share figures. Some more details about the Google Nexus 10 tablet are been rumored around the web, according to the semi-conductor focus website BrightSide of New, Google will be showing off a Galaxy Nexus 10 tablet at Mobile World Congress. If rumors are true, the next-gen Nexus tablet will sport a quad-core processor and new 8-core Mali-T678 GPU, 4 million pixel, 300ppi resolution would suffice to choke even the best mobile can offer. According to the people we spoke with, the new Nexus 10 addresses that with a significant increase in "digital horsepower", moving from a dual-core to a multi-core design, with the T604 GPU core being replaced with an 8-core T628 GPU. If our sources hold true, the Nexus 10 refresh might be the first design out the door packing the Mali T678 GPGPU chip. This chip supports from a single to an 8-core design with all the bells and whistles one might come to expect from a desktop 2013 GPU. If these sources are correct, the device could be on display at MWC, but may not ship for months, the earliest introduction of Google Nexus 10 is expected at Mobile World Congress 2013 in Barcelona. We don't know of pricing yet but it'll likely hover around the same price as the original, or probably a little bit higher. Looking to get a ticket to the hottest tech event to happen this year? Google has already released a save-the-date for their developer conference and tickets are expected to sell out (if they haven't already been) in a very little time. March 13th is the start of the registration for this dream conference for developers. No word yet on how many people will be allowed to attend the Google I/O 2013 but many people from around the world are hoping they could each get a ticket that cost $900 each. Last year, free useful hardware was given away to attendees, so it will actually pay off to attend the event. Some of those that are expected to be announced and discussed are the Motorola X phone, which is a joint project by Google and the said company. It is said that the phone will be truly groundbreaking. Also the Android update to Key Lime Pie, full Google Glass specs and the successor of the Nexus 7 might also be announced. Just like last year, the Google I/O proves to be the hottest convention for developers and as soon as tickets were laid out, it didn't take long for the event to sell out. This year, Google will probably detail the Google Glass, which was introduced last year and possibly some other secret tech demo that will happen exclusively on that event. Regular tickets cost $900 and discounted ones for those in the academe and students go for $300 each. There will be lots of free items for attendees, which will really make the amount well worth it. Furthermore, it is an experience that upcoming developers and brilliant people will definitely be able to use. It is a convention where like-minded people will converge. For many, it is an opportunity to rub elbows with the experts and exchange ideas. It will be held on May 15th to 17th. Smart watches have been around for years but they never really gained enough following to sustain the demand for them. However, this year is bound to be different. Almost all popular brands of smart devices have expressed their interest in launching high-tech smart watches and it's only a matter of who goes to launch first this year. Furthermore, according to a forecast by ABI Research, an estimated 1.2 million units of smart watches will be sold this year and if this were true, then 2013 might be the year that sales for this interesting device will truly increase. Also, customers who have smart devices tend to buy similar-brand gadgets and manufacturers like Apple, Samsung, LG and Google would like to bank on this theory and sell their very own smart watches. We think it's about time that the smart watch finally gets its accolades and that manufacturers step up their game and create watches that will shame James Bond's gadgets. If there are Google Glasses, why can't there be smart watches? London, United Kingdom - 16 Apr 2013 - Smart Watches have been around for the last decade. The wearable computing device has failed to take off for one reason or another: they looked ugly, were too bulky, had weak functionality, or the battery life was not good enough. However, over the last nine months a number of new smart watches have emerged that could change consumers' perceptions. Market intelligence firm ABI Research projects more than 1.2 million smart watches will be shipped in 2013. "The strong potential emergence of smart watches can be attributed to several reasons," says senior analyst Joshua Flood. "Contributing factors include the high penetration of smartphones in many world markets, the wide availability and low cost of MEMS sensors, energy efficient connectivity technologies such as Bluetooth 4.0, and a flourishing app ecosystem." The wearable computing device can be split into four categories: notification types, voice operational smart watches, hybrid smart watches, and completely independent smart watches. Notification type devices are the MetaWatch and Cookoo smart watches, for example, offering alerts for incoming calls, messages and other notifications. Voice operational smart watches enable users to conduct calls and speak some commands via the device such as Martian's smart watch. Standalone smart watches with their own OS are moving beyond a smartphone accessory. With the potential to be purchased as a standalone product without the need for a smartphone, they offer high functionality and can connect to other consumer devices like audio speakers. A good example is the Italian smart watch maker, I'm Watch. Other good possible archetypes for this category could be Apple's hotly anticipated iWatch, Samsung's Galaxy Altius and Microsoft is also reportedly planning to release a new touch-enabled watch for its Windows-based smartphones and tablets. "Smart watches that replicate the functionality of a mobile handset or smartphone are not yet commercially feasible, though the technologies are certainly being prepared," adds Flood. ABI Research's latest "Market Opportunities for Smart Watches" report analyzes and provides forecasts for the new wrist computing device. Regional device shipments and segmentation splits are also included in the report. It forms part of ABI Research's Mobile Device Technologies Research Service. 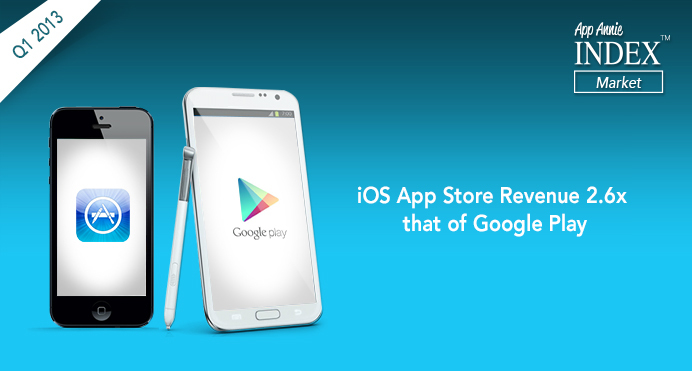 Google Play Store revenue is up 90% compared to first quarter last year, according to App Annie. This report also shows that 90% of the applications are also available in the Apple App Store, which somehow shows the increase in the number of Android device users as well. Various graphs were presented that shows Google's stellar 2013 performance-and the year's not even halfway yet. Japan tops the countries that posted the most growth in application revenue, while South Korea and the US come in second and third places. However, when it comes to app downloads; the US still leads the pack with South Korea falling in second place. Furthermore, according to the research, games account for 80% of Google Play applications revenue and others such as communication, productivity, tools and paid social apps make up the rest of the 20%. However, Apple still posts higher revenues than Google when it comes to applications but it does not mean that Google is far behind. In fact, it's quickly catching up and Android developers are the happiest! Google detailed the Android Operating System versions in October and it is has proven that Jelly Bean has transpired the 50% adoption rate mark. The 3 Jelly Bean releases have gain ground at the fee for the outdated versions. 2.3 Gingerbread still forces 26.3% of droid devices, getting fallen more than two percentage points since recently. Will still be the 2nd most widely used single version after 4.1 Jelly Bean, though. Android ICS Sandwich has lost .8 percent points from it share and it has fallen underneath the 20% . Honeycomb (3.2) continues to be in the .1% threshold. The 3 releases of Jelly Bean have enhanced their shares. 4.1 rose by .8 points, 4.2 gained 1.9 points, while 4.3 added another .8 points. We anticipate seeing a few of the share from the first couple of Jelly Bean releases transfer to 4.3 within the next couple of several weeks weight loss updates are available in. Android 4.4 KitKat was introduced in the final moment from the survey, therefore it did not reach the charts. It most likely will not possess a significant share of the market the following month either because it is only going to energy Nexus products with that point. Great news NBA fans. We are now less than a week away from the three day showcase for basketball's top players known as All-Star Weekend. The annual 3-day affair features several events, including the Slam Dunk contest and of course the All-Star game itself. The NBA All-Star 2013 App is the ultimate guide to All-Star. Keep up to date with event information, live scores, video and photos. Vote for your favorite players to win contests during the weekend and play predictive games. Microsoft Lync 2013 for Android extends the power of Lync to your mobile device - including voice & video over wireless, rich presence, instant messaging, conferencing, and calling features from a single, easy-to-use interface. - View colleagues' availability in real time and select the best way to communicate - initiating an instant message (IM), email, voice or video call. - Connect to Lync Meetings with a single touch, without requiring long numeric passcodes or conference numbers. - Forward or simultaneously ring calls to your Enterprise Voice (Lync ID) number so you'll never miss a call. - Lync 2013 for Android provides transport layer security (TLS) and perimeter/internal network protection without requiring a VPN, so your communications experience is safer no matter where you are or what network you use.